Large, rich lavender-blue flowers with cream centres are produced on this very attractive Clematis from June through to September. Clematis 'Lady Northcliffe' although vigorous, is a compact, neatly growing, non-evergreen climber making it suitable for planting in a container on the patio (should space be an issue), trained up bamboo canes or an obelisk, otherwise it will be happy supported by a trellis, fence or garden wall. 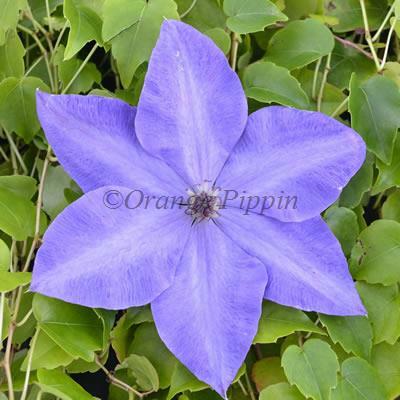 Clematis 'Lady Northcliffe' was raised by George Jackman and Son, England.